Perhaps one event that signifies Islamic event is the barat day ceremony, it bonds two souls into an eternal bond of wedding which got importance more then anyone else. Barat day is the second of wedding function which have importance then any other event. So when this day comes, everyone wants perfect and beautiful. No matter, from which region of the world you people belongs, every bride and groom wishes branded and designers dress, as everyone is now brand conscious and busy in the race of beating other people. Indian fashion industry is talented and have much skilled people to meat the challenges of life and fashion. The number of designers are now stepped in fashion market, and now the competition becomes lil bit more difficult. Among all designers ” Ritu Kumar” is also one them. Ritu Kumar has stepped into clothing line in the year 1969, the “Indira Gandhi Priyadarshini award” and famous designers. He has started its own label under the name of “Ritu”. Since it first day, it is one of the best designer, and breaking the records by bringing always beautiful and stylish Brdial Dresses in market. She has won many excellence awards like Country’s fourth highest civilian award, Chevalier des arts et des letters by French Government and many more. The brand not only deals with Bridal wear but also Lehenga’s, Kurtis, Tunics, Sarees, Couture and outfits. Now its the time to introduce you guys with Ritu Kumar Designer Latest Bridal Dresses 2016-2017 Collection. It is very helpful while choosing your big day outfit. Here’s we go! Ritu Kumar 2016 Bridal Collection has been flavored with fresh and trendy apparels for those ladies who love to wear both Indian and Pakistan designs. As you know, Pakistan and India have although different religion but there are many things which are common among these like culture, dressing, food and many things. The delicate embroidered work and wonderful styles are done on this collection. 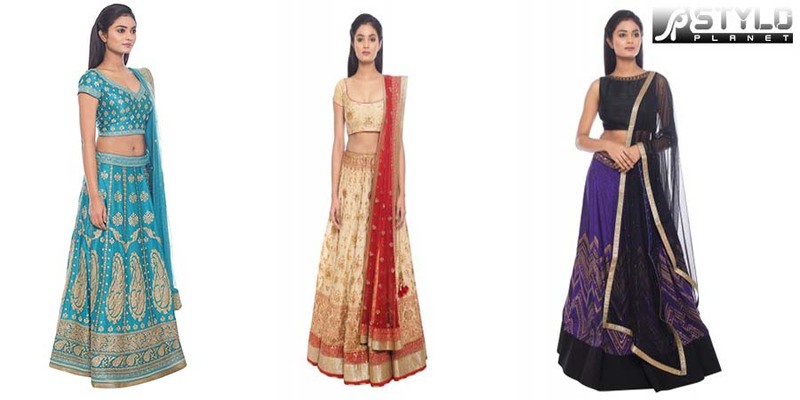 This assortment includes cape style, lehenga choli, half sleeved blouse style. The hues are really lovely and soothing as some girls like to wear red and pink color but some of them like to wear light and sift shades in their barat day. So Ritu has keep in mind all these things while designing these apparels. Latest Bridal Dresses 2016 collection is showcased in our photo gallery. Take a look and select the most stunning outfit for you guys.You can buy these from any Indian outlet or you can also buy online form their official website. Visit the StyloPlanet Bridal Wear Gallery. 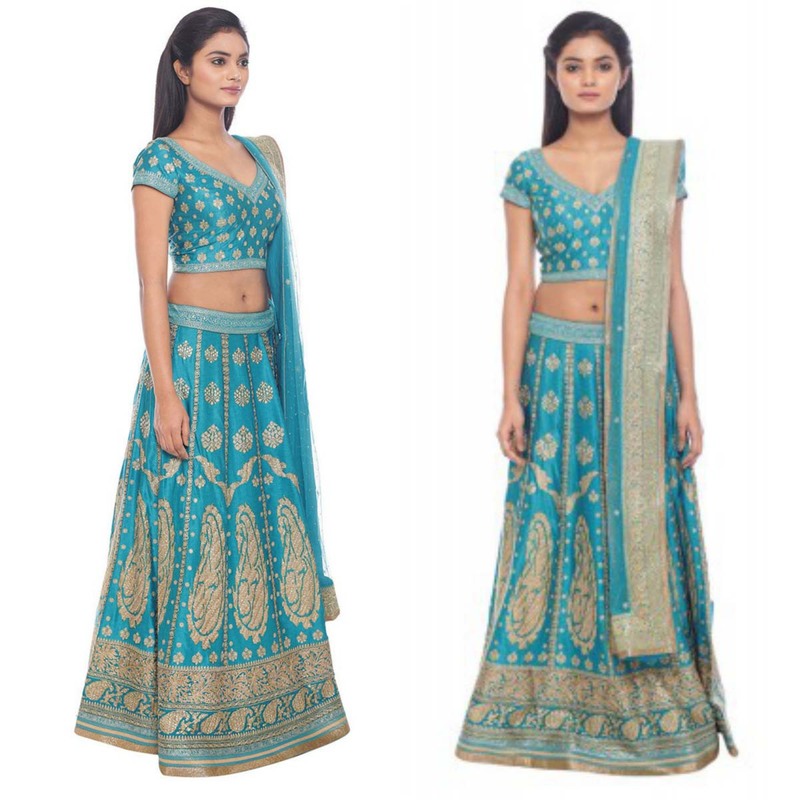 Presenting this beautiful turquoise and gold satin lehenga, perfect for the festive season. 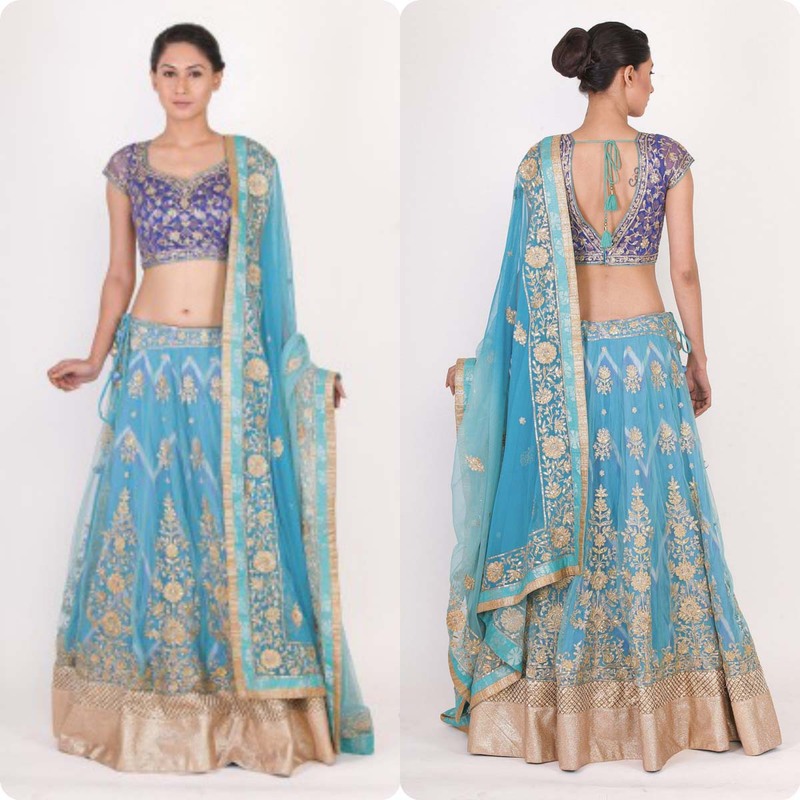 This lovely lehenga is crafted in the classic style with a heavy palla. The enchanting print on this satin bottom is also one of a kind. It looks especially good when paired with gold jewelry. A crepe lehenga, blouse, and chunni ensemble by designer Ritu Kumar with a bright color palette of yellow, coral, and green along with accents of gold and red. The garment has VCD printing, and Mukaish embroidery to highlight it. Pair it with minimalist jewelry in light gold tones for the best look. This is a beautiful emerald and red lehenga ensemble adorned with traditional hand aari and zardozi work with designs derived from ancient Benarasi weaves. It comes with a short sleeved red blouse with intricate embroidery work around the neck and sleeves and features a large keyhole detailing at the back with tie-up embellished drawstrings. 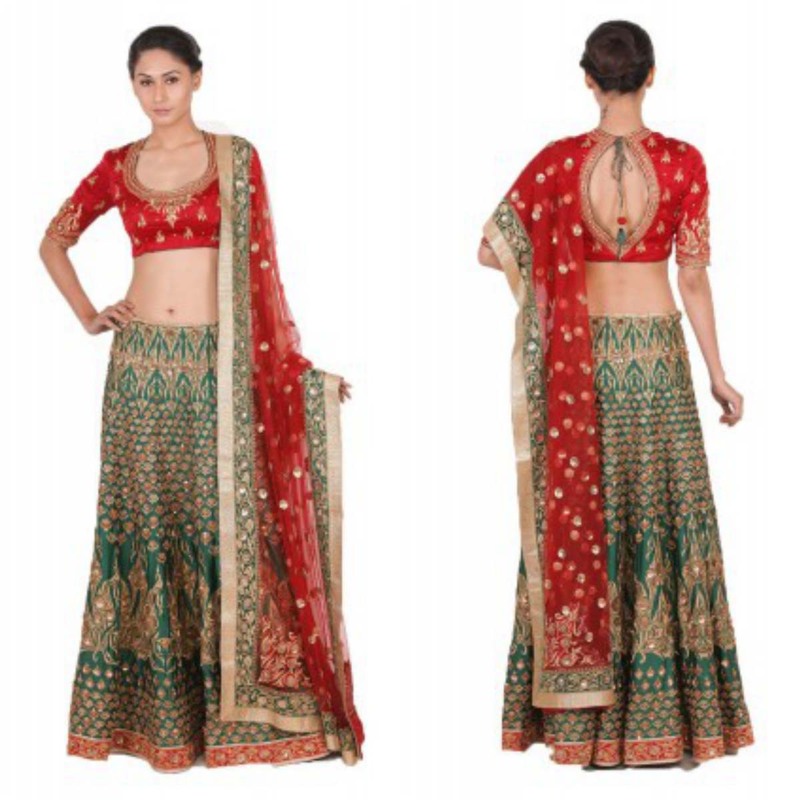 The chunni is in red color and is adorned with lovely floral motifs and a heavily worked emerald and gold border. This is a beautiful pink and purple lehenga ensemble adorned with traditional hand aari and zardozi work with designs derived from ancient Benarasi weaves. It comes with a short sleeved purple blouse with intricate embroidery work around the neck and sleeves and features a large keyhole detailing at the back with tie-up embellished drawstrings. 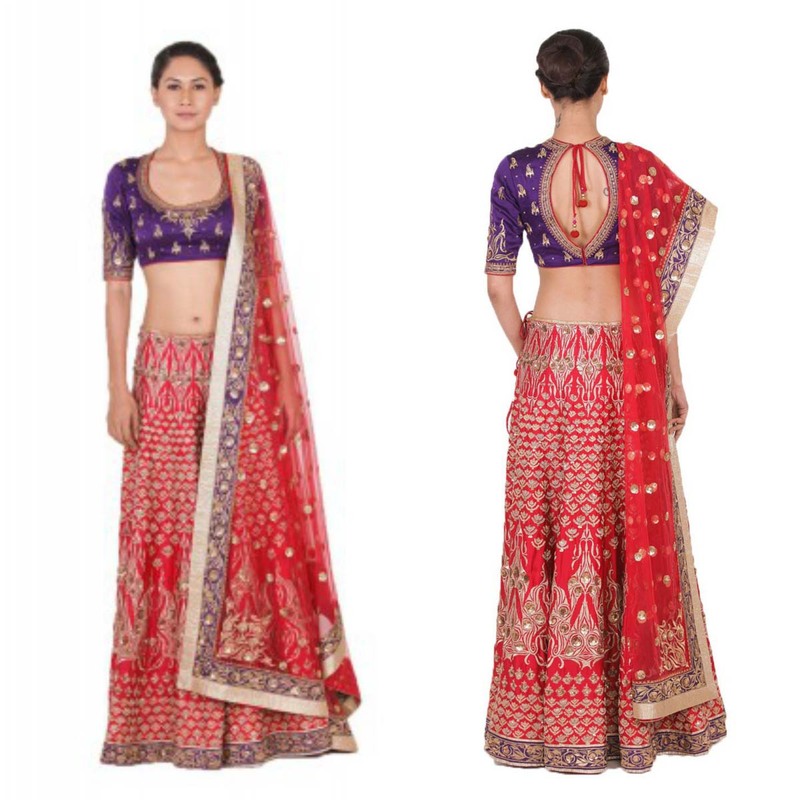 The chunni is in red color and is adorned with lovely floral motifs and a heavily worked purple and gold border. Vibrant color and young Lehanaga for bride or bride’s sister to be worn on some wedding occasions. Kundan earrings can be worn with this along with golden silhouettes and clutch. 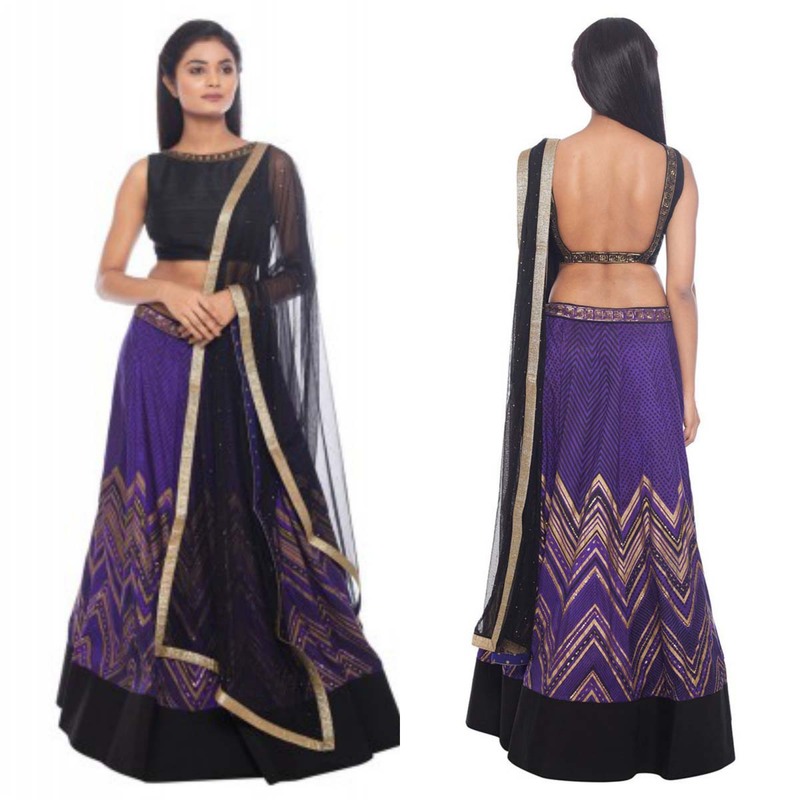 This is a black and indigo lehenga ensemble with ari and tikki hand embroidery on a rayon crepe fabric. The designs on the lehenga are pitch patch style of brocade giving a contemporary print to a traditional touch making it ideal for an evening cocktail function for a young lady. Style this look with a earrings and golden sandals to look stunning in any special occasion. Feel like a princess in this blue and black with an angular print. The angular print adds a modern edge to the traditional lehenga, which give the look a stunning Indo-Western feel. 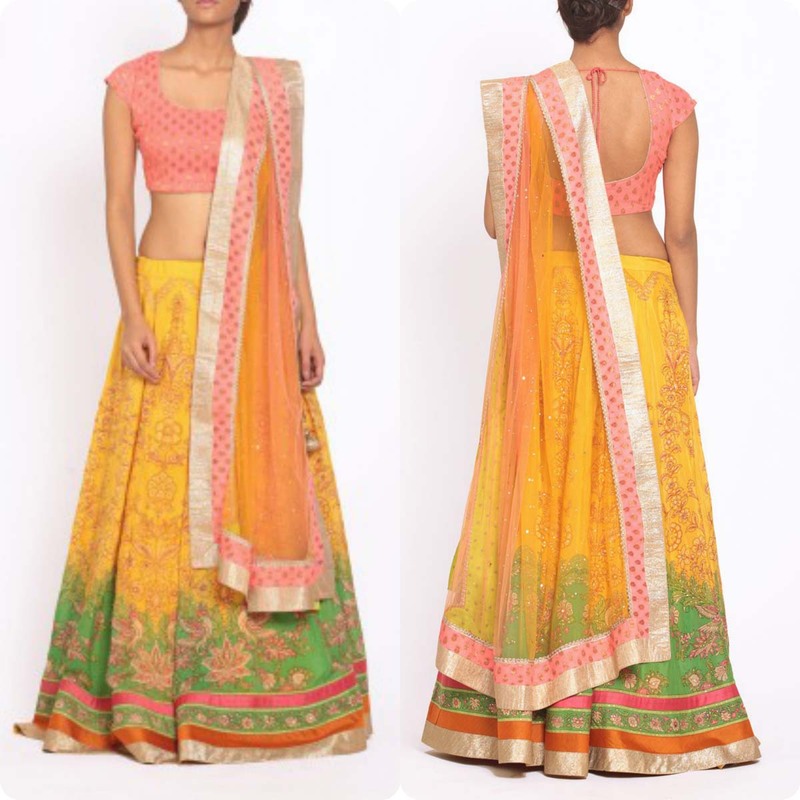 Perfect for parties or weddings, this silk dupion lehenga is a true stand out piece. 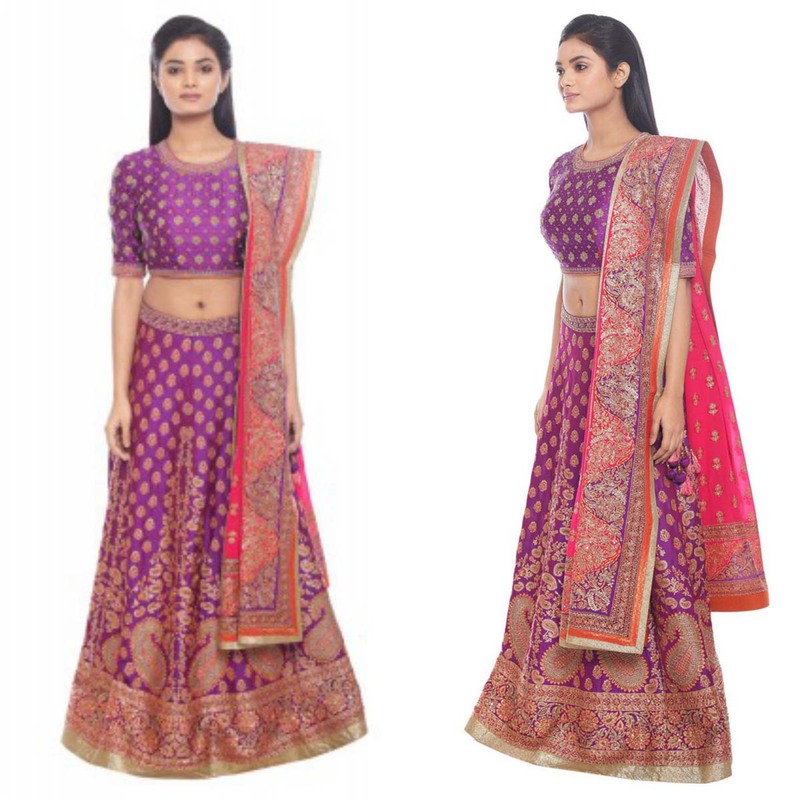 Feel like royalty in this bright purple and fuchsia Benaras woven lehenga. This party ready wear incorporates the stunning bridal royal weave technique from Benares ensuring it looks chic. It also has zari work on it, which adds to the richness of its appearance. 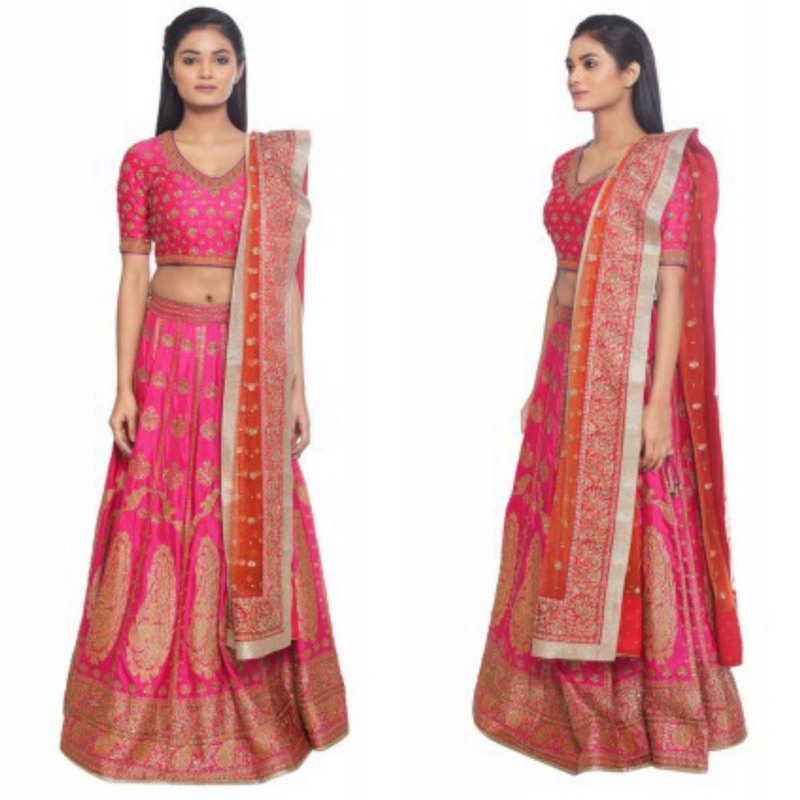 Feel like gorgeous lady in this bright pink Benaras woven lehenga. This party ready lehengaa incorporates the stunning bridal royal weave technique from Benares ensuring it looks chic. It also has zari work on it, which adds to the richness of its appearance. Feel like a charming girl in this stunning beige ensemble. 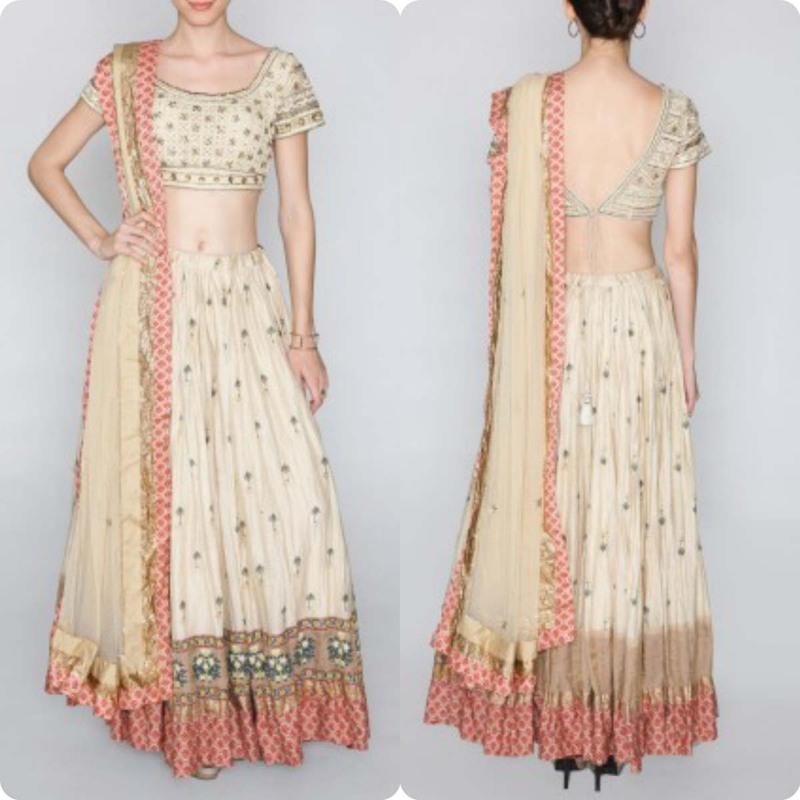 This ensemble has delicate floral tonal embroidery and the lehenga is full length and finely crafted. The ensemble has a modern cape to add some extra special charm to the look. This is the perfect outfit to wear for formal events and parties. 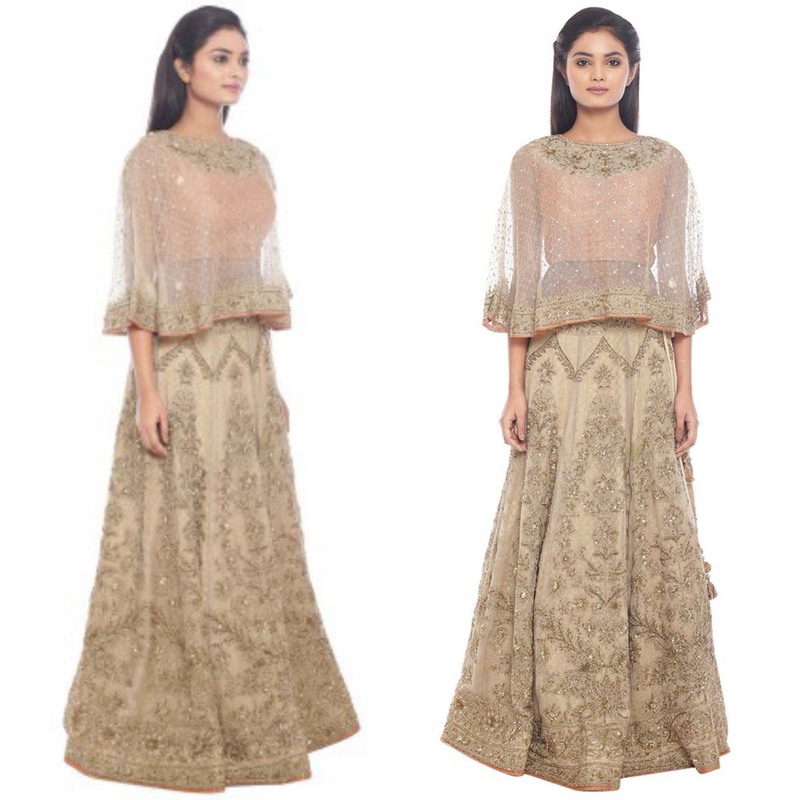 Add a modern twist to an elegant ensemble in this gold embroidered cape and lehenga. The heavily embroidered bottom has fine craftsmanship that stands out for all to see, and paired with this modern, sheer take on a cape, will make any woman feel like a star. 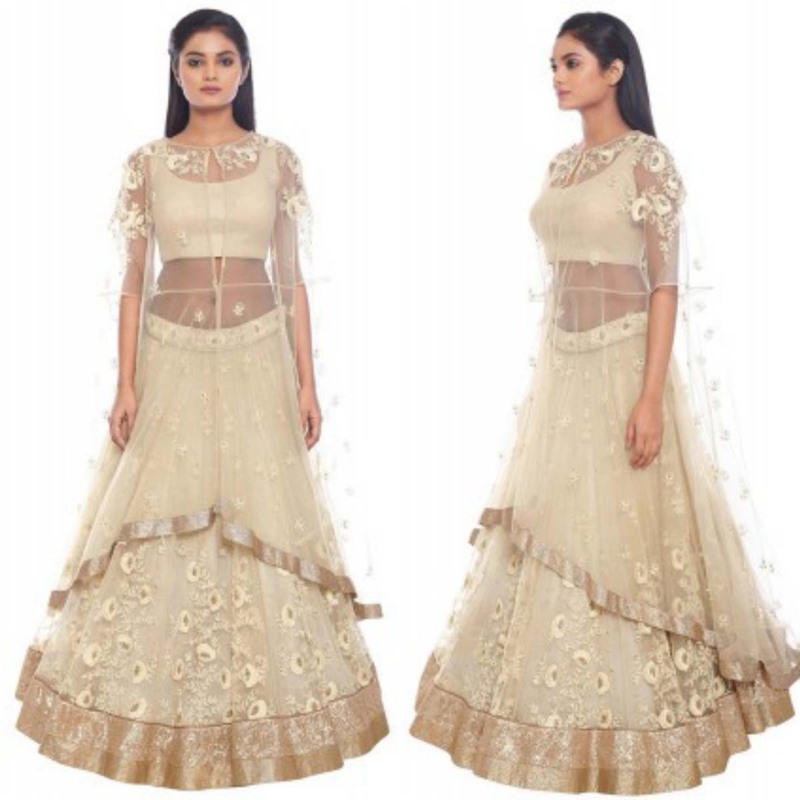 This chanderi lehenga, with a short choli, and a dupatta has a very light and young color palette of off-white and gold, with tinges of peach and blue-green. 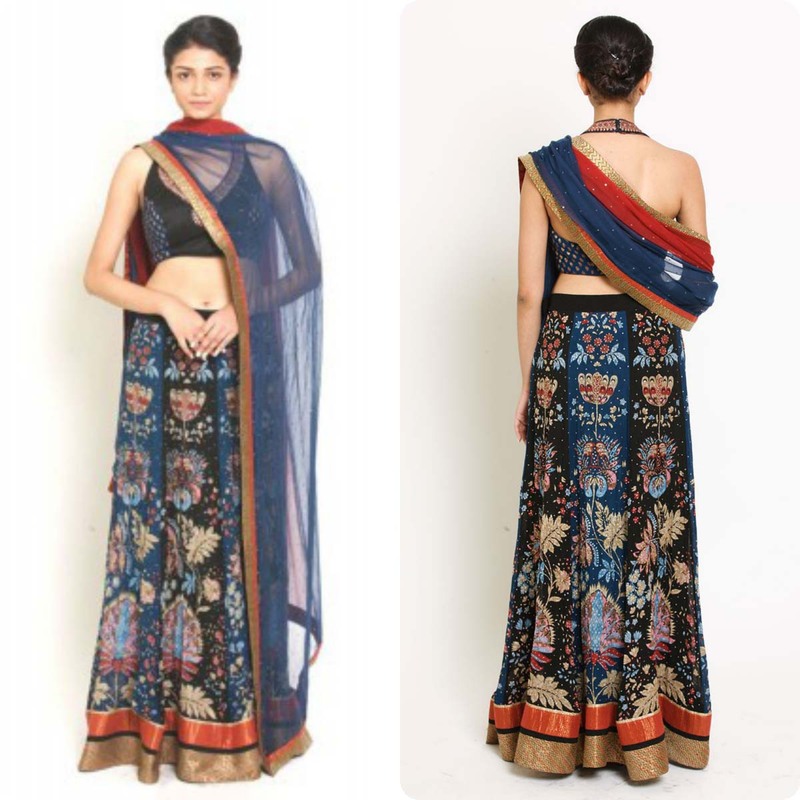 This Ritu Kumar ensemble has a printed, flared skirt and the choli is embellished with gold with tie-ups at the back. 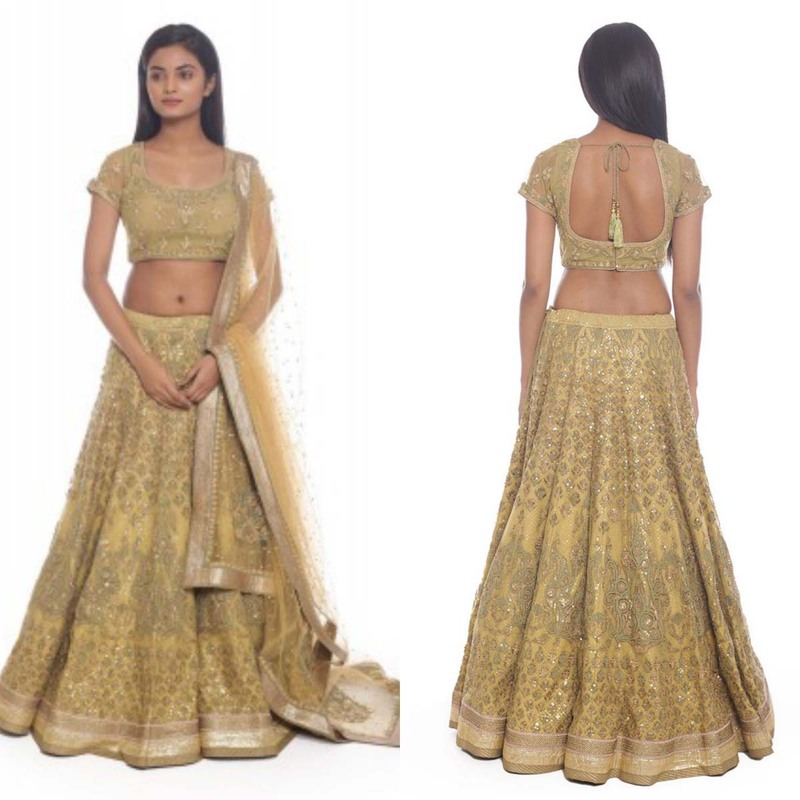 Feel like a princess in this lovely khaki satin embellished lehenga. This festive wear has stunning embellishments all over it, and the figure flattering top is fitted and has half sleeves. Exquisitely designed, this shimmery outfit is a wonderful outfit for any woman. Ritu not only deals with Bridal wear also Lehenga's, Kurtis, Tunics, Sarees, Couture. This time to introduce you with Ritu Kumar Bridal Dresses 2016 Collection.